January, 2008 – Take control of your system! 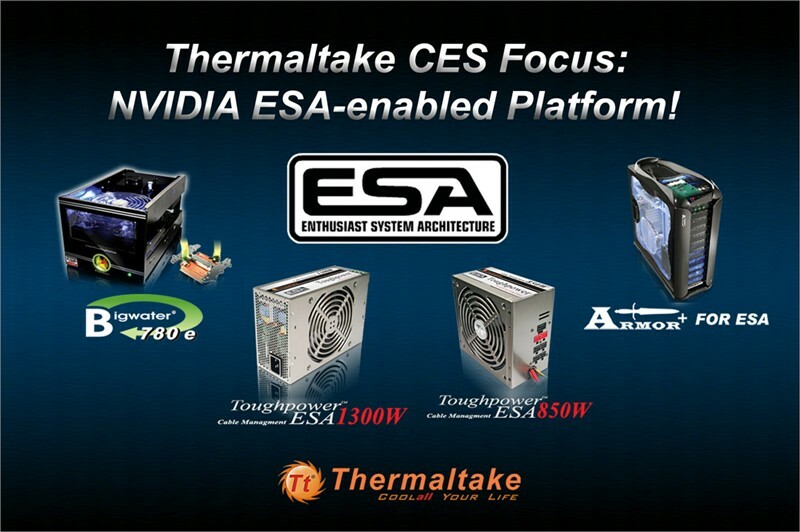 Thermaltake, as one of the official NVIDIA ESA partners, has displayed the NVIDIA ESA enabled platform for the first time at CES 2008 in Las Vegas. Including of the “Armor+” Chassis, “Toughpower ESA 850W“ Power Supply Unit and “Bigwater 780e” Liquid cooling system, Thermaltake ESA enabled hardware will offer DIY enthusiasts the visibility and control over your system and maximizes the PC performance that has never been achieved before. NVIDIA ESA is the first industry standard that allows users to manage the performance of their PC and its components in real time, giving you unprecedented control over thermal, electrical and other characteristics of you PC. Thermaltake ESA enabled Chassis, PSU and LCS will not only allow instant monitoring of hardware operation and system temperatures. 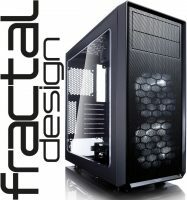 You will also be able to make adjustments to the fan speed according to various demands.